More than 20 years in the industry removing dents from cars, vans and more. Dent repair specialist based in Bury St Edmunds, fully mobile covering areas of Suffolk, Norfolk, Cambridgeshire and parts of Essex. 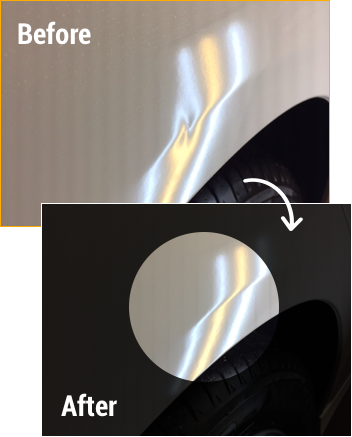 I remove small to large dents and creases from vehicles without filling or painting keeping the car paintwork original, the process is known as paintless dent repair or PDR. I take great pride in the work that I do, treating every customers car as if it was my own. I work for franchised dealers, bodyshops, companies and private owners and I get a very high referral rate from satisfied clients. I am so proud of my testimonials, please take your time to read them. If a quote is required, please do get in touch. Dents plus is a paintless dent repair company, we are based in Bury St Edmunds and cover Suffolk, Cambridgeshire and parts of Norfolk. I remove dents and creases from vehicles helping to retain their original finish. Why fill and paint - keep original! Please read my testimonials, to which make me very proud. I take great pride in the service I provide working extensively with top branded franchise dealers, bodyshops, private companies and individual owners. If your vehicle is on rental agreement or a PCP and you're just about to return it with a dent! STOP! Talk to us. You could be facing extortionate costs over £400 per panel. We can remove dents cheaper!! Contact us for more info.